Midlife Crisis Crossover Celebrates 5 Years of Midlife, Crises, Crossovers « Midlife Crisis Crossover! For those unfamiliar with the origin of this blog’s name, the clues lie in these DC Comics from 1985. I launched Midlife Crisis Crossover on April 28, 2012, three weeks before my 40th birthday as a means of charting the effects of the aging process on my opinions of, applause for, revulsion at, and/or confusion arising from various works of art, expression, humanity, inhumanity, glory, love, idolatry, inspiration, hollow marketing, geek life, and sometimes food. That’s more or less what MCC’s About page says, but with a different set of words because verbosity is my shtick. The simpler reasoning is I like writing, sharing, connecting, expressing, joking, crafting sarcasm, deconstructing, synthesizing, and forcing myself to articulate my opinions even when they’re wrong. For years Usenet and message boards gave me an outlet for creative goofing, storytelling, and occasional venting, As those circles diminished in traffic and feedback over time, what else was a habitual typist to do? For years social media was an encouraging supplemental environment for endeavors of the written word. It still has its uses, but only in modicum. Twitter is a nice tape recorder for random thoughts and the perfect vehicle for chatting with other TV fans whenever our shared stories are on, but doesn’t respond well to longform expression except in the modes of sociopolitical tweetstorms or in-jokes about game theory. Facebook has similar functionality but has become a bit more problematic for me — partly due to the stubborn tribalization of American politics, partly due to the influx of family who don’t “get” me, and (more recently) mostly because the Facebook app has refused to update on my Galaxy S6 every month from November 2016 to the present. That pervasive nexus of all communities basically self-bricked and excused itself right out of my everyday routines. I had choices. I could continue limiting myself to message boards with dwindling populations. I could stop writing and just fritter away my days as an intellectual hermit, confining my writing joy only in emails to my wife. Or I could find another medium. Some people with more ambition and/or publishing connections might decide it’s time to start writing books because it’s just that easy. Some would buy a diary and write only to themselves and God and hurtful snoops. After months of deliberation I went with blogging, even though the internet cool kids had decided it was a “fad” and it was over. As with most experiments I’ve conducted throughout my life, I figured let’s try just it for a while without overthinking it and see what happens. I’d either burn out and go mad, quit in bitter obscurity, embarrass myself mightily and flee the internet in disgrace, or click a wrong button and accidentally delete everything. It wasn’t exactly a firm five-year plan, which I understand is a thing people do. Sometimes their lives turn out better than mine; sometimes their lives turn into substance-abuse cautionary tales. 1. The midlife crisis, that dreaded dysfunction inflicting males over 40 with spontaneous stupidity, latent immaturity, mindless euphoria obsession, and/or intense fear of dying monogamous. Age 39 was perhaps a bit soon to worry about this possible future breakdown in my reasoning skills, but I’ve seen far wiser men than myself do unexpected, stupendously awful things for more selfish, out-of-character reasons. 2. DC Comics’ Crisis on Infinite Earths, the comics crossover that begat all modern company-wide blockbuster crossover events in all their epic, sprawling, world-changing consequences and sales boosts. 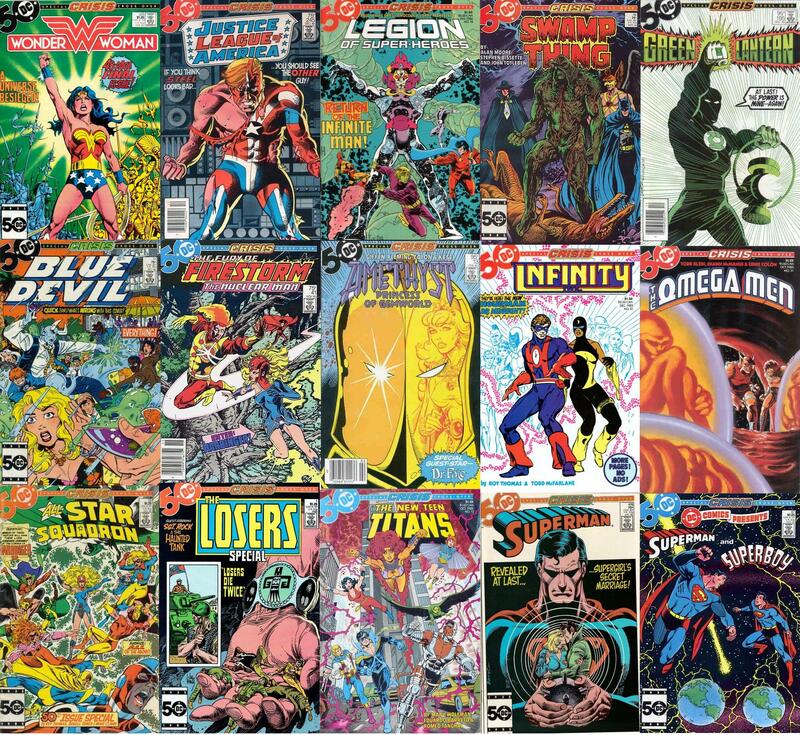 No mere 12-issue maxiseries could contain the full narrative scope, which spread in varying degrees to other series in the DC Universe, whose tie-ins were labeled “SPECIAL CRISIS CROSSOVER!” The “on Infinite Earths” part was still there but in much tinier type. Sample “Crisis crossover!” trade dress scanned from my copy of Infinity Inc. #20, which also includes the best example of the story’s recurring “red skies” end-of-the-world motif that’s subtly informed what passes for MCC’s “blog design”. I had a blog title. I had a smattering of ideas. I had one entry I’d spent days writing. On April 28, 2012, I pulled the trigger. And I’ve been alternating between entertaining and stumbling ever since. I posted seven days a week for the first fourteen months before allowing myself to relax in the face of demonstrable evidence that I could in fact do it. Five years later, here’s MCC entry #1,532 and the well hasn’t gone dry yet, though some results have been surprising in hindsight. I’ve doubled down on the road trips and other travel experiences in no small part because of reader response. (Having a new wealth of material to mine every year helps, of course.) I’ve left the thinkpiece competition to other, more appealing writers with larger, more vocal fan bases. The tongue-in-cheek style remains my favorite approach to most entries, but I don’t demand humor entries of myself, indulging only when it feels natural and never with the stern concentration of a paid joke writer who has to think of amusing things or else starve. And despite my lifelong fandom, I generally avoid the topic of comics because most of the medium’s fans are over on Tumblr, where I’m not. Also, the majority of today’s individual issues contain too little content to warrant issue-by-issue analysis. a The idea of a 500-word overview of a twenty-page, three-minute read makes as much sense as a New Yorker article about a single chapter in a novel. To make matters worse, it’s my understanding that in 21st internet comics community, if you give any comic less than a B-plus and point out flaws in a flawed comic, you’re a hideous monster who should be banned from all comic shops nationwide forever. If you can’t be constructively candid about the positive and the negative, you’re not a critic or even a reviewer. You’re just an unconditional worshiper with a podium. The status of the MCC experiment as of today, then, is a site where I can write about whatever I want, which most of the time is not the subject championed in the site’s own name. Not to mention how snarky I’ve been about DC in recent years, from the letdowns of 2011’s New 52 reboot to Batman v. Superman in general, and yet here I am with a site name that owes its very inspiration to how fond I was of their universe for entire decades up until the current one. Comics fans who read closely can see at least one ongoing resemblance between the funnybooks of my youth and the patchwork playground that is MCC: entries and episodes that frequently refer back to each other. From the Silver Age to the Bronze Age, all the best Marvel and DC comics had their characters mentioning previous adventures in passing, imbuing every issue with a sense of continuity and time progression. The writers and editors would add brief footnotes informing new readers of the issue and number about which the character was reminiscing. That way, kids could find out what comic they’d missed and go back to their regular newsstand to hunt down a copy, get caught up, and feel all the more enriched by the expansive comics-universe experience. Just as Marvel and DC were about the interconnectedness of all things within their corporate worlds, sames goes here for anyone running across MCC for their first time. 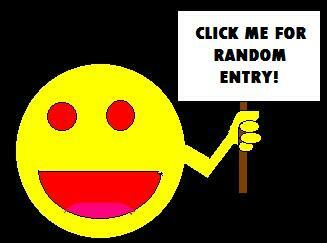 Whenever I add links to previous entries, they’re not driven by a hunger for hits. Those are my version of comic-book footnotes. They’re the voice of Stan Lee or Rascally Roy Thomas or Bob “The Answer Man” Rozakis offering to add another level to your reading experience. They’re the “Would You Like to Know More?” narrator from Starship Troopers. They’re MCC’s version of Wikipedia surfing, except instead of learning about practical or fascinating things, you’re wandering further into the official MCC universe, by which I mean our lives and the world around us. It’s the long-term crossover that keeps on going, keeps on publishing for as long as my wife and I have stories to tell through the good and the bad, through the triumphs and the trials, through the celebrations and the crises. Hopefully all the bad, the trials, and the crises aren’t my fault. Hopefully MCC doesn’t live long enough to see me become the villain. Thanks for reading. Thanks for anyone and everyone who’s made a positive impact in this half-a-decade-long special crossover event. Here’s to future road trips, to epiphanies and Top 10 lists yet to come, to maybe finding reasons to want to write about comics, and to happier red skies ahead. Congrats on your 5th anniversary of MCC! I’ve been a quiet reader of your blog for years, enjoying your road trip commentaries especially. And occasionally getting info I need, to be in the know on movies and other bits of pop culture that I tend to avoid. Thanks, Randall and best wishes for another five! Congrats all around on your anniversary. For someone as prolific as you, that is quite a feat. You are recording precious memories for generations to come.